Early Australian pioneers were blocked from advancing into the interior of the continent by the Great Dividing Range that runs along the east coast of the country. In their endeavours to expand the colonies westward and to open Australia economically, these early developers eventually found routes across the Great Dividing Range and into the interior. With this expansion, the larger and more productive Australia was born, for better or worse. Today, Australians face a ‘divide’ of a different kind, but one that, nonetheless, requires crossing if we are to secure our national wellbeing into the future. The emerging division between rural and metropolitan Australia, along with the social, cultural and health inequities between the two groups has been the focus of government and social programmes in Australia for generations, yet the condition persists and is today exacerbated by the inexorable movement of Australian populations to larger regional centres and to our major coastal cities. For many years health researchers and health service providers have embraced the idea that scientific research into the social, economic, physical and psychological aspects of health problems in the community is the tried and true way to progress policy and initiate action for improvement of our healthcare system. The age-old grail is to demonstrate scientific facts and implement policy on that basis. If this process is maintained, all will be well. The wellspring of this current work is its embodiment of a city/country dichotomy in the life of the author. The strongest message about healing the divide between the two cultures (if indeed this might even be possible) comes not via scientific investigation directly, but via the existential and phenomenological experience first and foremost and is informed by the scientific motif after the fact. The ‘divide’, which is the focus of this work, has emerged in the interplay between an essentially nineteenth century European based rural ideology of frontier freedom, self-reliance, rugged determination and independence and an emerging Asia-centred urban ideology underpinned by more modern twenty-first century concepts of economics, life, space, place and opportunity. The book combines personal experiences of rural living with overviews of initiatives that aim to reduce inequities between rural and metro communities by training and supporting health professionals to work in rural areas where there is often an acute shortage of practitioners to meet the needs of these communities. This shortage of professional people in rural areas contributes to the growing separation of rural and urban cultures and to the poorer health status of rural people compared with that of urban populations. 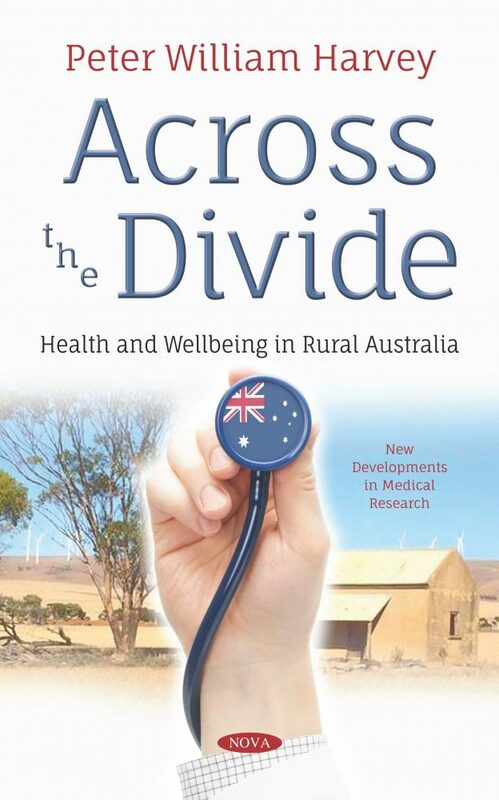 In this context, the book Across the Divide: Health and Wellbeing in Rural Australia explores options for reducing these divisions and improving the health and wellbeing of rural populations in Australia. It focuses on health status and the emerging inequities experienced by rural people and explores ways of improving access to services and practicing health professionals, health education and health literacy.